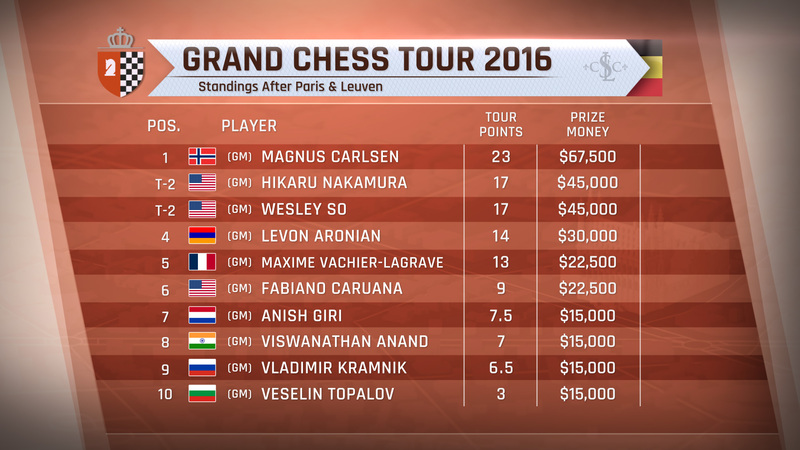 Remember that Hikaru Nakamura was the king of the Grand Chess Tour Paris 2016, and thus, he earned 13 GCT points in that tour. But he finished 7th place in Leuven, making him earn 4 GCT points only this time, or a total of 17 points so far. 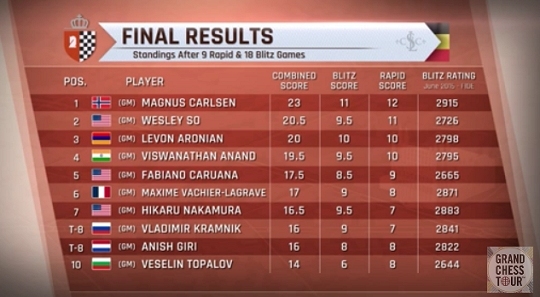 Wesley So earned 7 GCT points for placing 4th in Paris, but he earned 10 GCT points in Leuven (second place), for a total of 17 points as well. 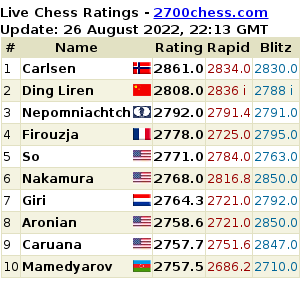 With Carlsen being just a wildcard player in both Paris and Leuven, that leaves Hikaru Nakamura and Wesley So leading the race so far and should be battling it out for the first place in the next two stops at Sinquefield Cup and the London Chess Classic. carlsen is rank 1 and wesley rank 10.. fide grandmaster ranking..
Kilala nyo lahat ng nsa picture? go wesley! durugin mo yang utak ni nakamura! !